As per a recent report, Honda SIEL Cars India, which is a joint venture between Japanese Automobile Joint Honda and SIEL (Shriram Industrial Enterprises Ltd.) which started 17 years back in the year 1995, about 17 years back is about to get over soon. Initially when this Joint Venture started in India, SIEL had 40% stake in Honda SIEL Cars India (HSCI) which it gradually when SIEL needed funds for Shriram Group’s expansion plans. At a time, SIEL held only 2% of the stake in the JV while sometime back it again bought 3% stake to make it a total of 5%. As of now, there are not-so-harmonious talks going on between Honda and SIEL on the valuation of the 5% stake which SIEL wants to sell and exit this joint venture. Not long back, we saw Hero Honda Splitting up and turn into Hero MotoCorp, this time, the SIEL is to exit and the ownership will come to Honda Cars India. The dispute seems to have started when Honda wanted to raise Rs. 3000 Crore for launching new small cars and Diesel engine cars in India in which SIEL is not willing to participate in it and rather decided to sell off its 5% stake and let go of the JV. As per some sources, the decision on the same will take place in coming two months time. SIEL which is a minority partner in the joint venture, will soon exit the same and it is likely to not affect the operations of Honda Cars India much as the control of the joint venture is usually with the majority partner only. This is quite a competitive phase for Honda Cars India as of now because the sales of Honda Cars in India have not been very impressive in past one year because of Japanese Earthquake and Thailand floods which affected Honda operations in India and many other locations. Overall, it has been a challenging year and the sales have declined sharply. 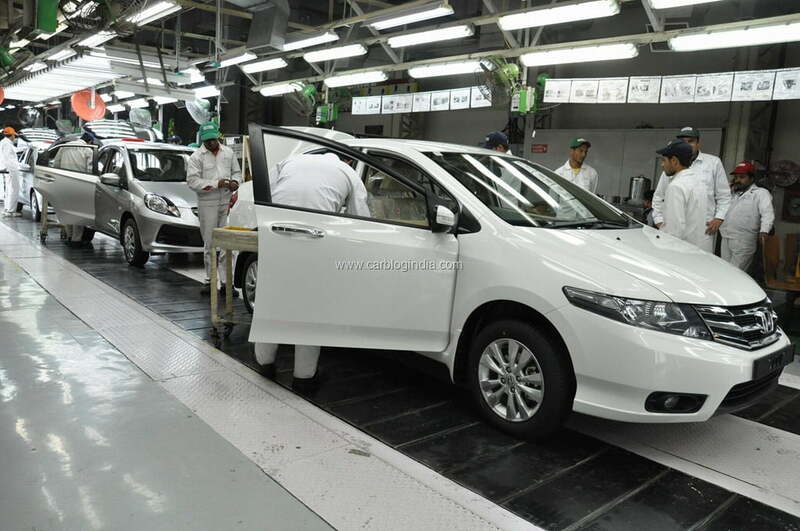 Honda City, which is a very popular sedan also faced the heat of production constrains in India and suffered low sales. Also increasing competition by global brands like Volkswagen, Skoda, Nissan, Hyundai, Toyota etc. has given a tough time to Honda Cars as all of them have launched impressive products competing with Honda City, more so, lack of Diesel engines in Honda Cars India portfolio is also hurting sales to some extent as the price gap between Diesel and Petrol in India is probably at its highest ever. Honda Cars has confirmed that they are working on specific diesel engines for India and will come up with fuel efficient diesel cars by 2013 in India, but till then, the competitors will continue to have an edge in terms of diesel car sales in India which are on a very strong growth. We will keep you posted on the new updates, for latest news, sign up for our free email newsletter and like our official Facebook Page. Honda City Price In India Will Go Up Again– Second Time In One Month Span!